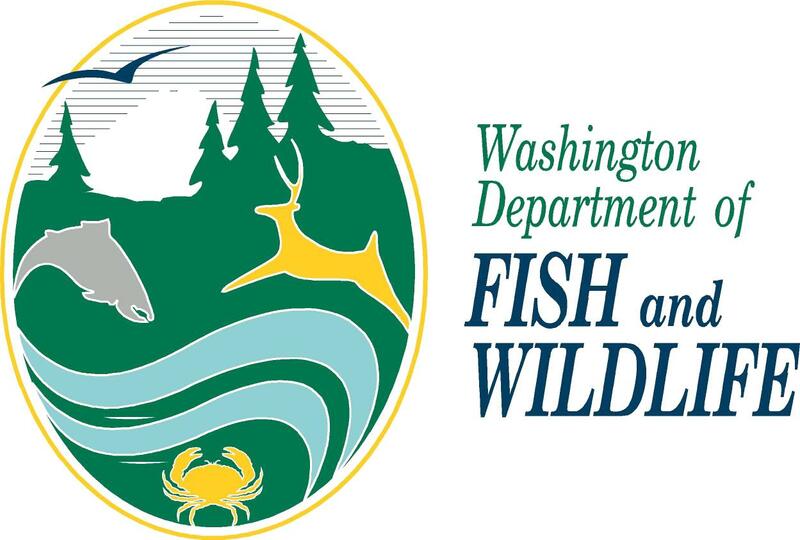 UPDATED: Tue., Aug. 28, 2018, 9:48 p.m.
Just weeks after approving a 5 percent hunter and angler fee increase, the Washington Fish and Wildlife Commission has changed course. In a conference call Monday, the commission approved a 15 percent increase to hunter and angler license fees. The fee increase will be presented to the Gov. Jay Inslee as part of the state Department of Fish & Wildlife’s 2019-21 budget proposal in mid-September. The Legislature ultimately approves any budget change. In addition to the fee increase, the commission asked for a cap to be placed on license packages to help reduce the financial burden on higher-spending customers. That cap would bundle certain fishing and hunting license options. For fishing bundles, the increase would not exceed $7 and for hunting bundles, the increase would not exceed $15, said Nate Pamplin, the department’s policy director. At an Aug. 10 meeting, the nine-member commission didn’t approve the higher fee increase requested by Fish and Wildlife staff, instead shifting much of the burden of digging the agency out of a $30 million shortfall on to the state general fund. To fully fund the department and make a lasting structural fix, the department is requesting $60 million. Initially, department staff and the Budget and Policy Advisory Group asked for a 12 percent to 15 percent “across-the-board increase on all license products.” That would be the first increase to license fees since 2011. Department staff also proposed an annual $10 fee charged to Fish and Wildlife customers with a $3 fee charged for temporary license holders. Commissioners were reluctant to ask more from hunters and anglers. Instead, they elected to request the majority of the money from the state’s general fund. “We are very concerned about the pushback that hunters and anglers are feeling,” Commissioner Kim Thorburn said. Concerns raised by the Budget and Policy Advisory Group changed the commissioner’s minds, Thorburn said. Members of the advisory group sent a letter Aug. 15 urging the commission to reconsider. David Cloe, the president of the Northwest Wildlife Council, said the increased fees are a necessity. “No one likes to pay more fees for less opportunity, but if we don’t fund the department correctly and pay some fees, you won’t have a department and you’ll have no wildlife management,” he said. Pamplin said Fish and Wildlife staff also met with the governor’s policy and budget staff. “They thought a really low fee bill puts our entire budget package at risk,” he said. There is “pent-up demand” for allocation from the general fund, which means it could be politically difficult for the Fish and Wildlife Department’s Aug. 10 budget proposal to pass. Thorburn, like other commissioners, was worried about asking more from Washington hunters and anglers. Hunting and angling opportunities have been reduced by poor ocean conditions, a decrease in hunting and fishing access and a growing state population. The assurance of the BPAG members, who represent environmentalists, hunters, anglers, business and forestry, among others, helped alleviate those concerns. About 25 percent of the newly approved budget request will come from fees, if approved by the Legislature. That includes the Columbia River Salmon and Steelhead endorsement, which the commission made permanent Aug. 10. The remainder would come from the state’s general fund. The Fish and Wildlife Department has asked hunters and anglers to pay more in the past. In 2017, the agency’s request would have included increases as high as 40 percent, Pamplin said. Thorburn said while the proposal addresses the immediate concerns, a larger issue looms. As fewer people hunt and fish, she said, other users need to pick up the budgetary slack. “The sportsmen shouldn’t be expected to carry as much weight as state funding …as they traditionally have,” she said. In an effort to address that issue, the commission asked Fish and Wildlife to explore options for creating a voluntary conservation endorsement, much like the current state park’s donation that can be made when buying a vehicle license. “Proportionally, more support needs to come from nontraditional constituents,” she said. Published: Aug. 28, 2018, 1:14 p.m. Updated: Aug. 28, 2018, 9:48 p.m.